Red birthmarks are actually proliferations or growths of blood vessels carrying red blood. Sometimes these birthmarks are present at birth; sometimes they will develop shortly after birth. They are termed “vascular lesions” by doctors. Why should I care about red birthmarks? Approximately 25 percent of all people have vascular birthmarks. In the vast majority of cases, these are without any bad consequence; however, based on their location they can produce self-esteem issues and cause significant social problems. Additionally, based on their location, they can produce physical barriers that interfere with eating, growth, vision, and other bodily functions. begin growing shortly after birth and become their largest at around one year) called a hemangioma. Hemangiomas can be located on the surface of the skin or deep. Vascular birthmarks are present in approximately 25 percent of all people, with the most common location being the back of the neck above the hairline. About half the lesions that grow over time (hemangiomas) will disappear by age five. Unfortunately, it is difficult to predict which ones will disappear. 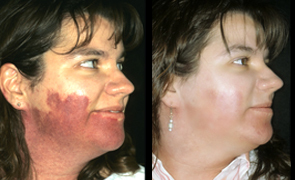 Vascular proliferations (port wine stain) rarely resolve without treatment. How are vascular birthmarks diagnosed? Because vascular birthmarks are visually obvious, the diagnosis is easy. It is important to note that the same birthmarks that occur in the skin can also occur internally. 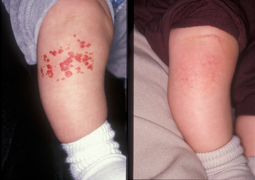 It is important that a pediatrician do a careful evaluation of any such patient to make sure that it is just a skin concern and not an internal concern. Can vascular birthmarks be prevented? No, they are genetically determined and cannot be prevented. How are vascular birthmarks treated? There are three types of treatments. The first one is just reassurance and observation if it is not problematic, as 50 percent will resolve on their own. The second is treatment using a new class of medications known as beta blockers. These can be very effective but only in the growing lesions. 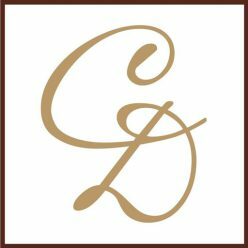 Finally, one of the most effective treatments is laser treatments. Sometimes laser treatments are combined with systemic medications such as beta blockers for an even better effect to treat hemangiomas. The vascular lesion laser works very well by itself for vascular proliferations (port wine birthmarks). 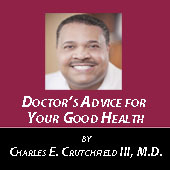 Vascular lesions should be evaluated by both a primary care physician and a dermatologist. Your dermatologist can provide a treatment plan as well as laser treatments to remove the birthmark if desired. Previous Previous post: What are electronic cigarettes and why should I care about them?